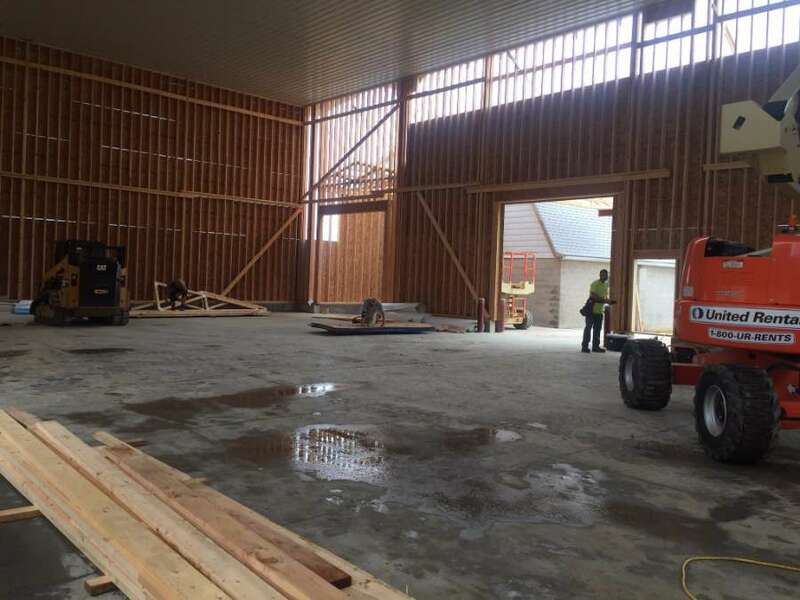 OUR STORY | Dewig Meats | History of Dewig Bros. Packing Co. In 1916, Anton Dewig founded the Dewig Bros. Packing Co., Inc in Haubstadt, Indiana. Later Anton was joined by his two brothers, Joe and John Dewig. In the early days the only meat processing equipment used by the brothers were knives, kept sharp by steel blocks carried at their waist. John’s sons, Tom and Bill, bought the business from their uncles, Anton and Joe in 1962. Since then the plant has continually evolved to keep up with new technology and processes. 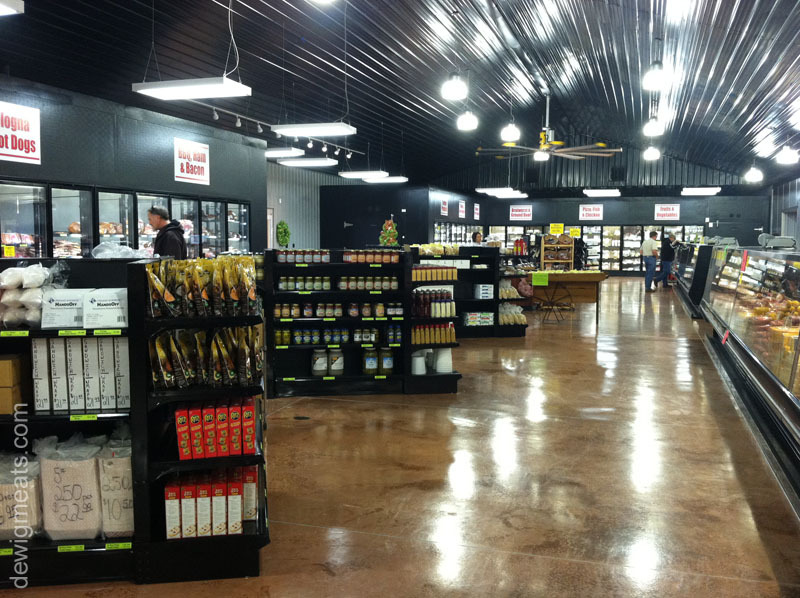 The Tom Dewig family has owned and operated the company since his brother’s retirement in 1990. 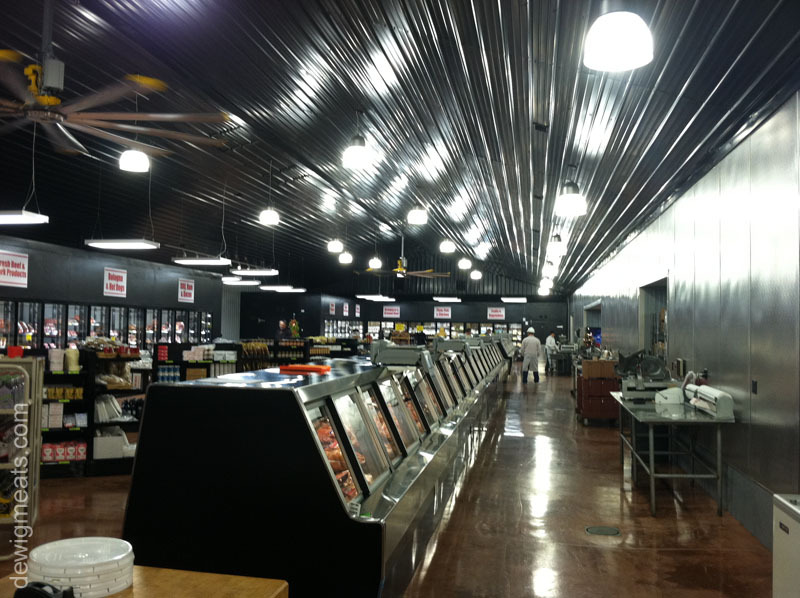 Today, state of the art meat cutting equipment and computers are standard fixtures at the plant. John’s sons, Tom and Bill, bought the business from their uncles, Anton and Joe in 1962. Since then the plant has continually evolved to keep up with new technology and processes. 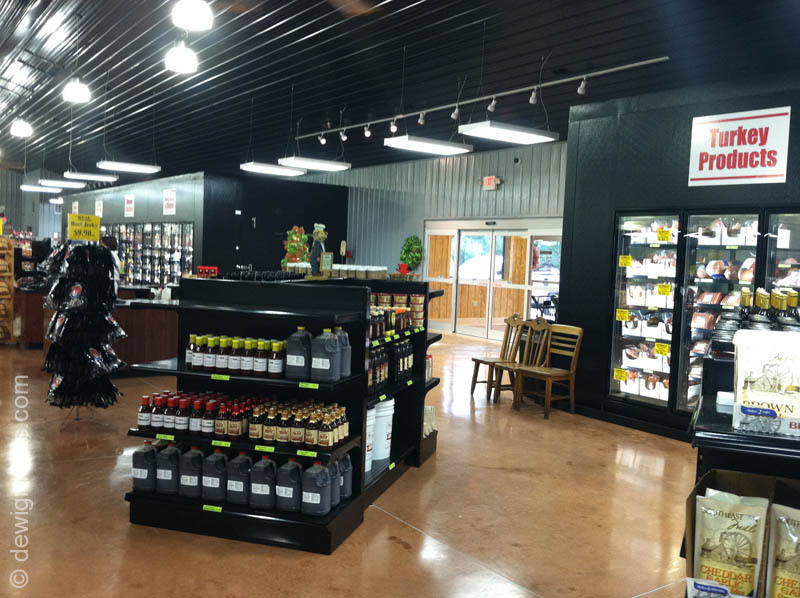 Since Bill Dewig retired in 1990, the business has been owned and operated by his brother, Tom. Many members of the family work at the plant, including all of Tom’s family. His wife, Janet, their son, Dean, and his wife, Karen, and daughter, Darla, and her husband, Aaron. 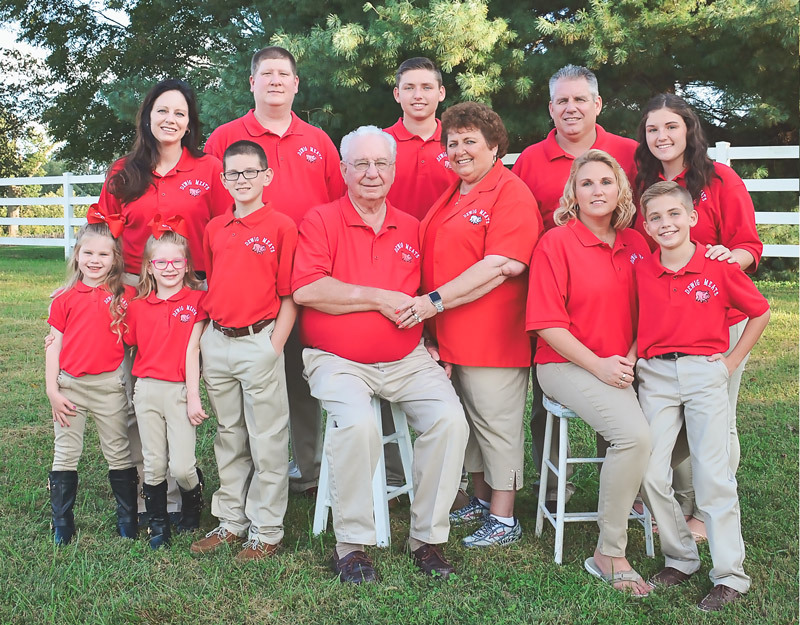 The new additions to the Dewig family are Tom and Janet’s grandchildren, Darell Austin (19), Sarah Jade (16), Jesse Logan (11), Jarrett Anthony (11) and twin girls, Addison Mae and Heidi Rae (5). 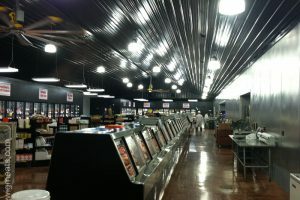 Today, state of the art meat cutting equipment and computers are standard fixtures at the plant. Some things never change, as each meat cutter still carries his own knife belt and steel. 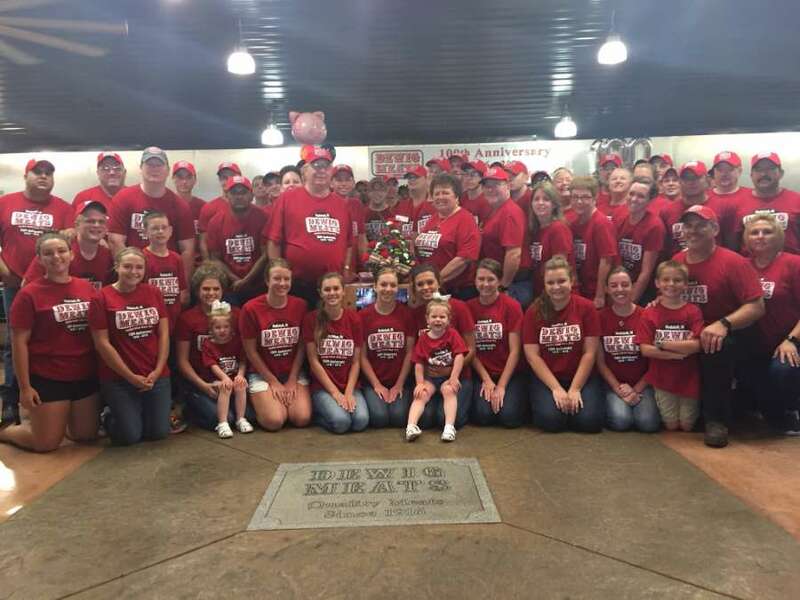 The company currently employ more then 75 people, most of whom are related to the Dewigs. 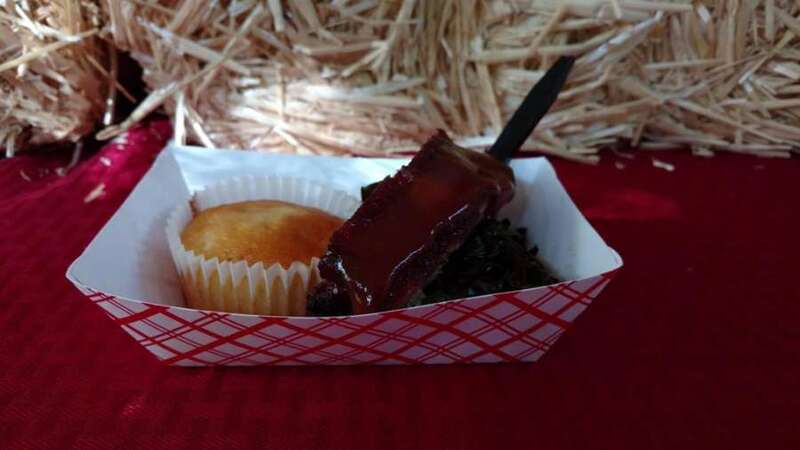 The plant used to be in competition with five or six meat packers from nearby Evansville, IN. 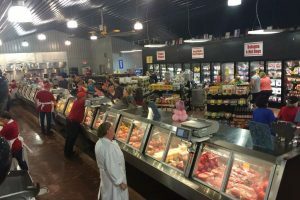 With the quality of meats and outstanding service, Dewig Meats in Haubstadt is the only remaining plant left in the area. 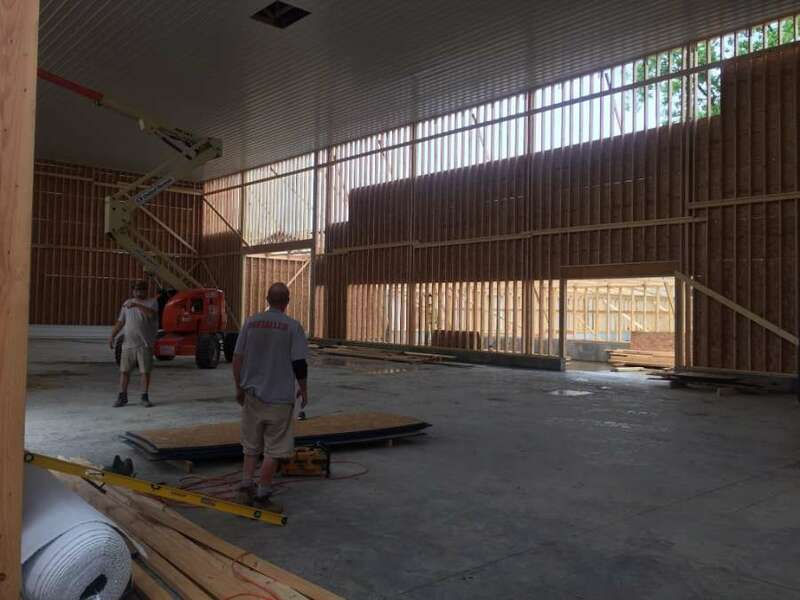 After years of planning and preparation, Dewig Bros. 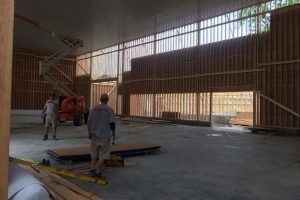 Packing Co. completed a large addition of its retail operation in 2011. 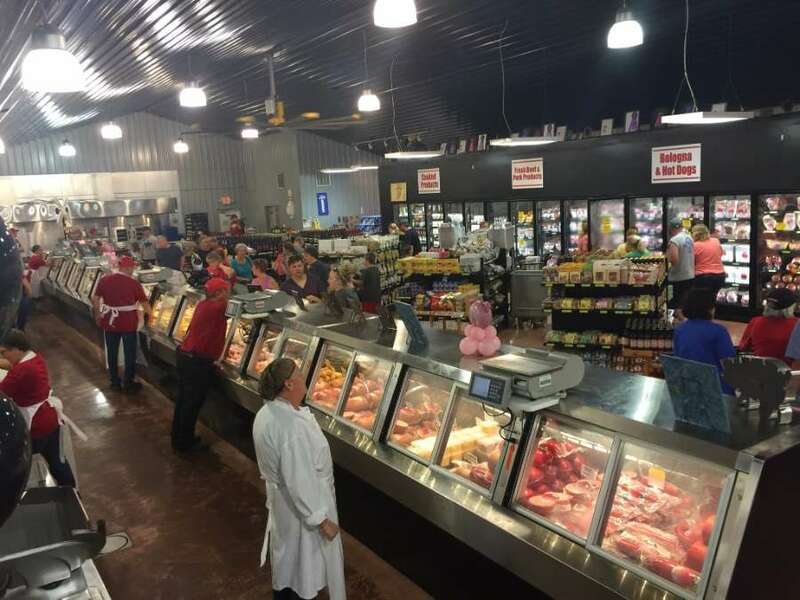 Expanded products, expanded hours, and expanded service has helped Dewig’s create one of the most vibrant meat markets in the nation. 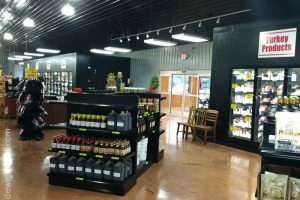 The redesigned space is approximately 6 times larger than the original retail space, making it more accessible for a new generation of customers. 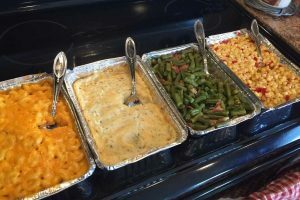 The Dewig Family celebrated the company’s centennial in 2016 by hosting a meal for the community, in which all proceeds went to local nonprofit organizations. Dewig Bros. 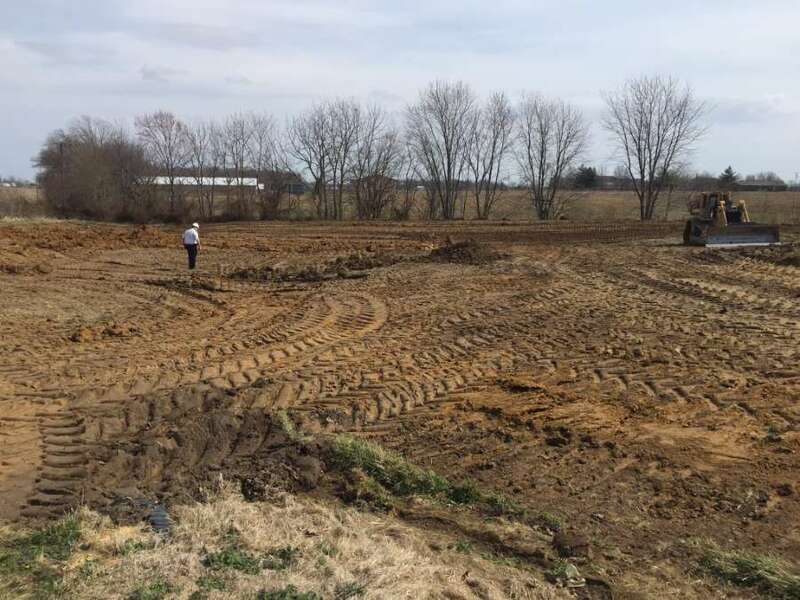 Packing Co. continues to be family owned and operated in Haubstadt, Indiana. 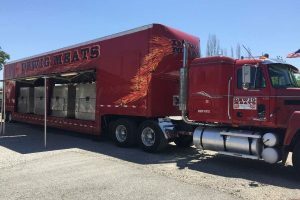 Read More about Dewig Brothers Packing History in this article. 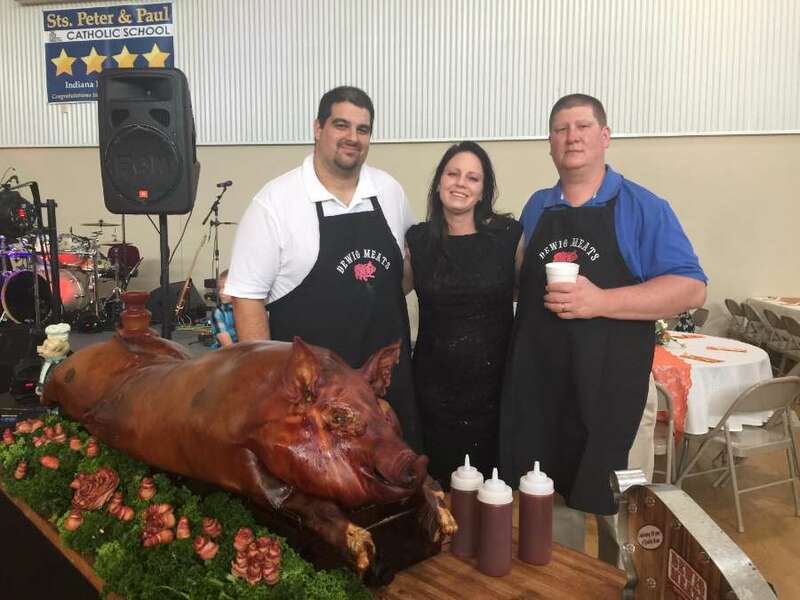 In 2015 Dewig’s decided to jump “whole hog” into the catering business as well. 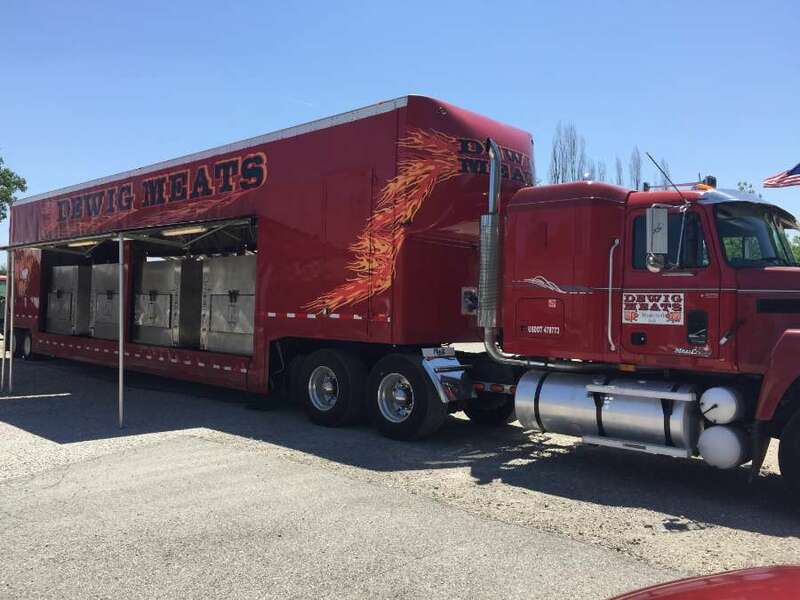 Brent Weatherwax, head caterer of Pappa Bear’s Catering from Dewig Meats has proved to be a true asset in expanding Dewig Meats. 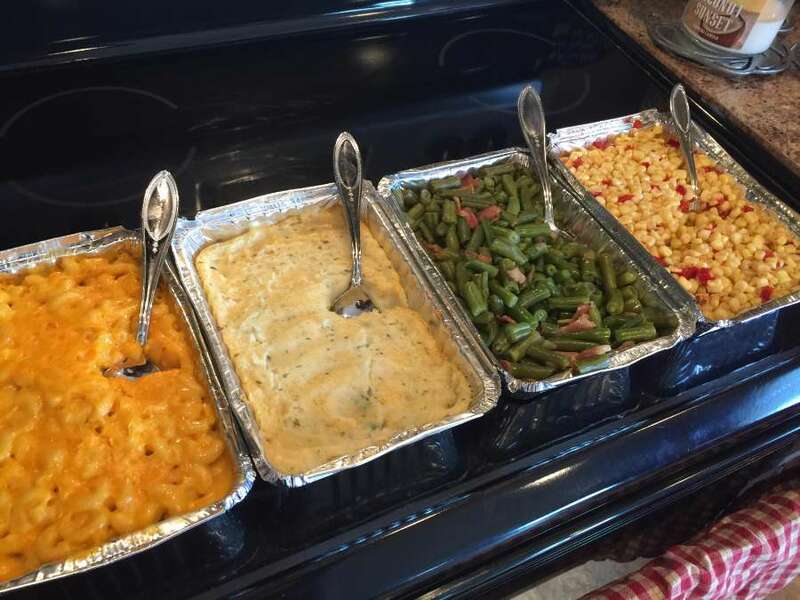 Check out his story as well as menu items, on-site catering options and even heat and eat meal options that can be picked up in house any day of the week! The year 2016 was the 100th year of Dewig Meats existence. 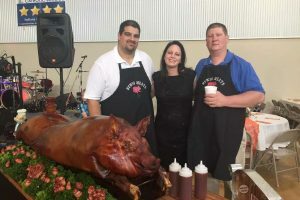 The company celebrated all year long with give always to the 100th customers of the day, having an anniversary party with a catered meal provided by Pappa Bear’s Catering from Dewig Meats. 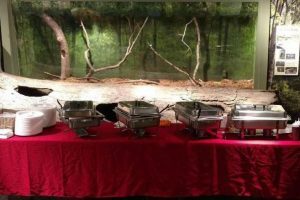 All customers were invited, and the meal was at a minimal charge raising money for local organizations. 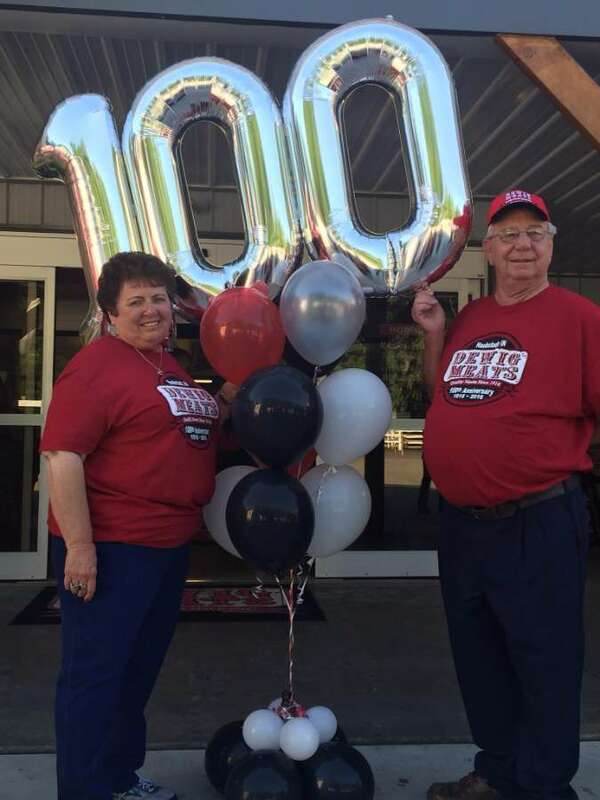 What an outstanding accomplishment of being a family owned and operated business for 100 years! 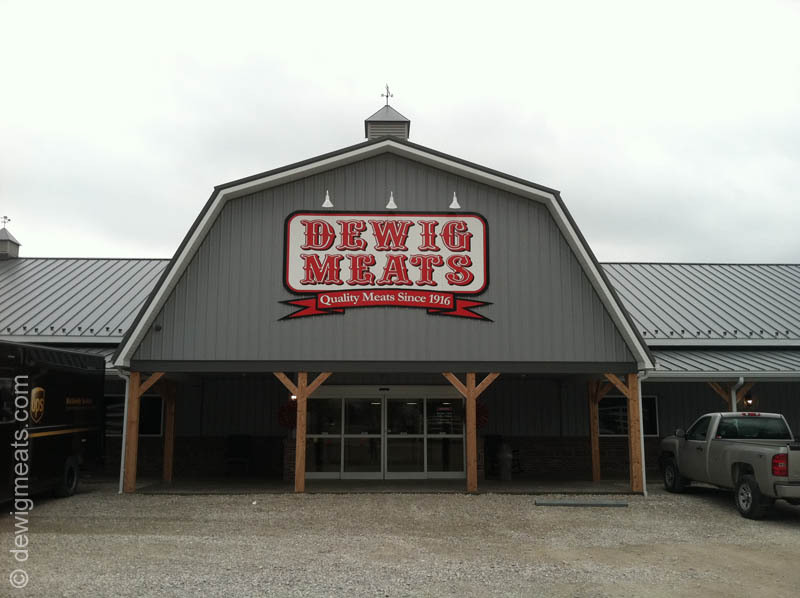 In 2016 Dewig Meats completed a large freezer and storage addition to help with the growing demand of Dewig’s products. 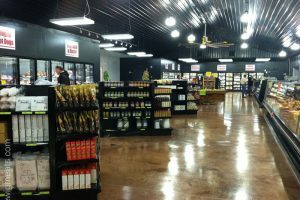 Over the past 10 years the Dewig’s decided that additional space was needed for spices, boxes, equipment and even more importantly freezer room for large orders. 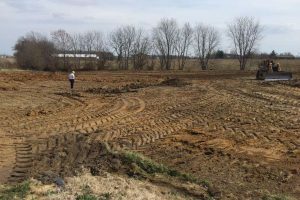 The freezer expansion was a big addition, but well needed for the growing company. 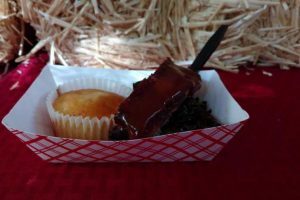 2017 was an important year for Dewig Meats. 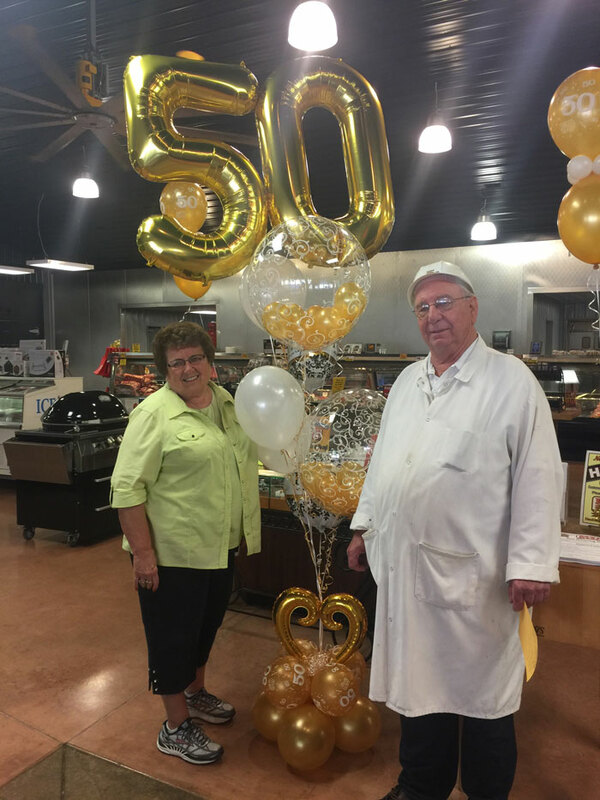 Tom & Janet Dewig celebrated their 50th wedding anniversary. 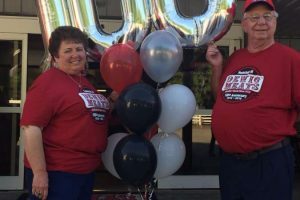 Tom & Janet can still be seen running around Dewig Meats helping out where needed, they just don’t “run” as quickly as they once did. Tom & Janet are true believers of hard work and strong faith which have made them exceptional employers for years. 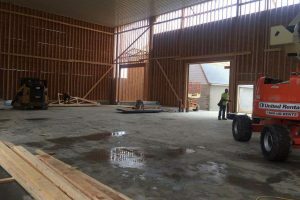 Many employees of Dewig Meats have 30+ and even 40+ years working for the Dewig family and there are more plans in the works for more expansion! 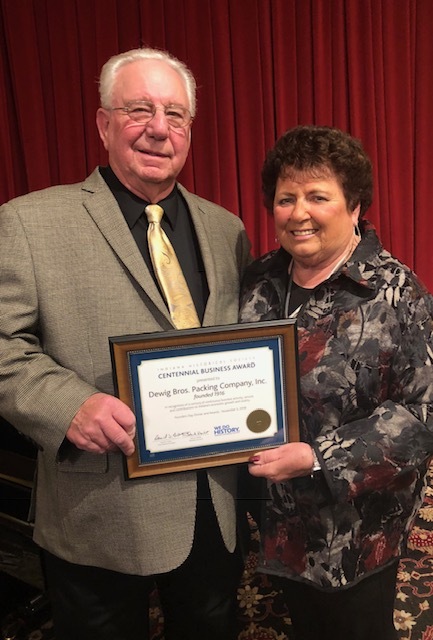 Dewig Meats received the 2018 Indiana Historical Society Centennial Business Award. 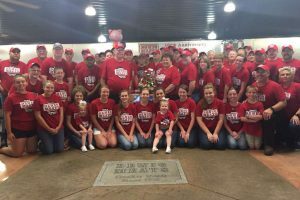 This recognition is bestowed upon Indiana companies continually in business for a century or more in hopes it will increase awareness of Indiana’s rich business and industrial heritage. What a great accomplishment and honor!